Thought-provoking original research. Exclusive access. 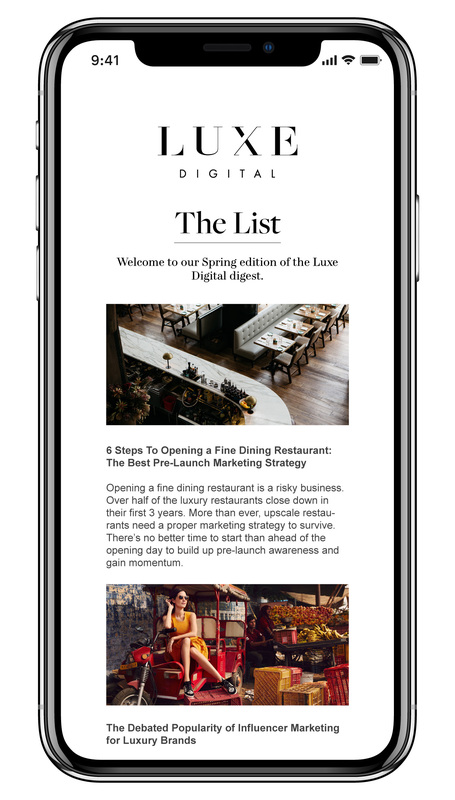 Join the Luxe Digital exclusive newsletter to receive insights into the luxury industry’s digital transformation. A monthly newsletter with insightful research, thought leaders’ interviews, rankings of the best brands in your industry, and the essential digital trends that are reshaping the business of luxury. We’re honoured to count regular readers from some of the most forward-thinking companies in the world. Join our community of luxury professionals.